When the electricians came and wired the house, I began obsessing over lighting. We had a "lighting plan," but still, just walking through the house and pointing to where I want a pendant or a chandelier made the lighting plan come to life. 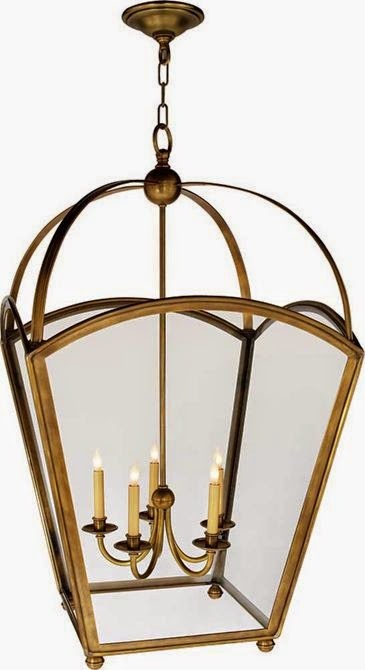 I've been perusing light fixtures online, staying up way too late, totally obsessed. One of my favorite lighting sites is Circa Lighting. Their Atlanta store above makes me want to book a flight! There are too many choices, and at the same time, I want more! 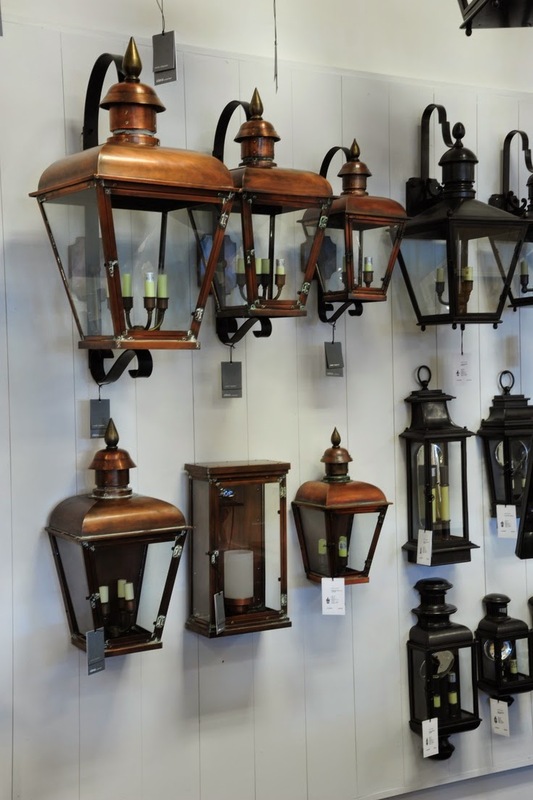 For instance, while I love the look above with the maritime inspired pendants, I think two lanterns would also be wonderful. I love these open and airy pendants from Circa and am leaning towards using this color of metal. Burnished brass, warm metals or gilded iron. 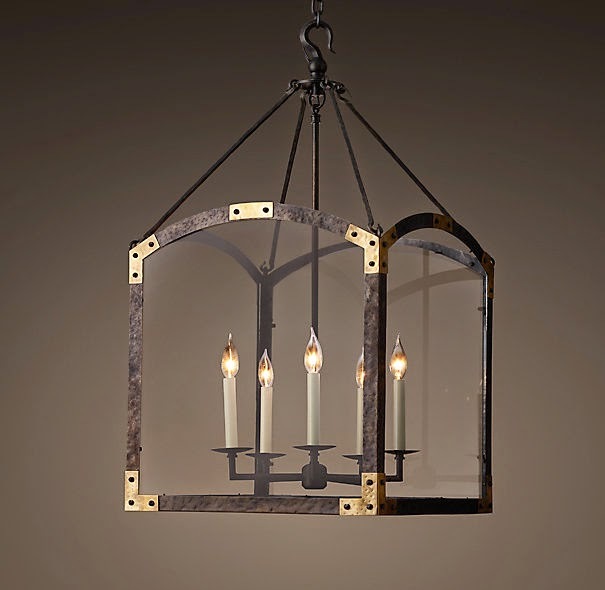 This pendant has a glass enclosure and would also be beautiful, but maybe it would work in the living room, hanging from the cathedral ceiling. 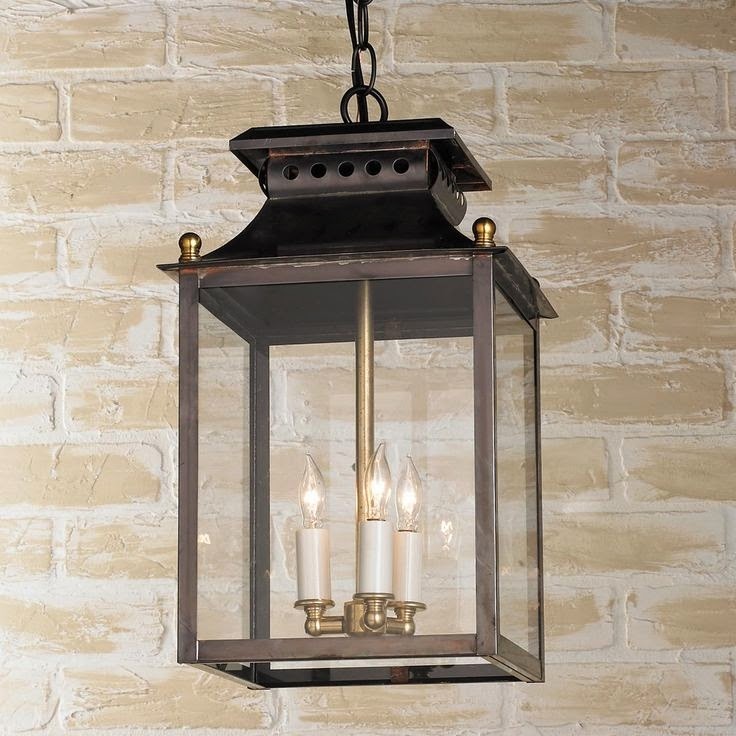 Another choice for either the kitchen island or living room is this lantern from Restoration Hardware. I keep going back to a more traditional lantern though, like this one from Suzanne Kasler for Circa Lighting. Shades of Light has a similar pendant. Although it is for outdoors, it would work over the kitchen island too. 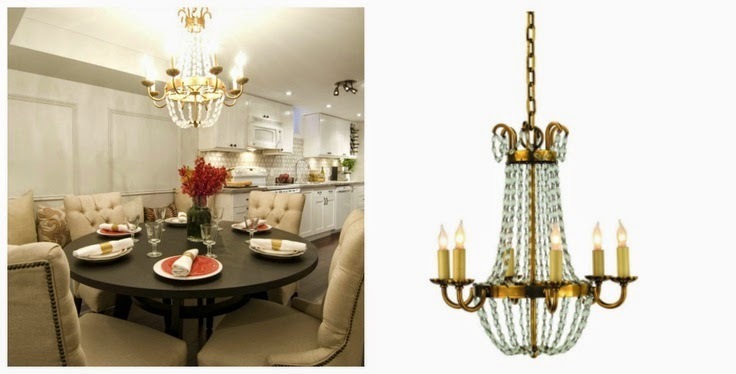 When I took the dining room chandelier from my old house, I had plans to install it in the new dining room. But now I'm thinking it's too big and I'm having to work around it's organic look. 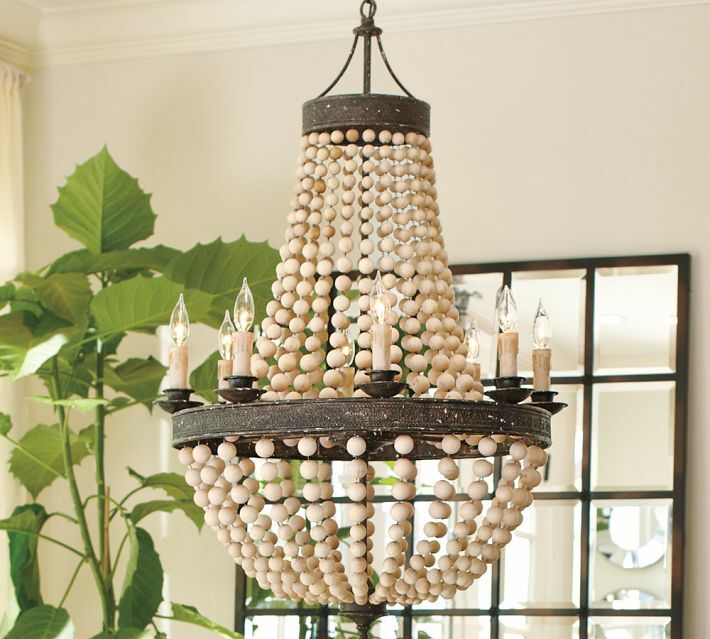 This chandelier is similar but more delicate and has warm brass metal and crystals. It I don't go with crystals, this is an option too. It's wooden, but painted gold. It would be nice over the breakfast nook. So to break it down, either I go with my original plan of using my old chandelier in the dining room as pictured above and building my lighting design around it, or I go down an entirely different road and choose fixtures in warm brass or gilded iron with crystals in the dining room and entry. Can you see why I'm obsessing? All are beautiful! I love the burnished brass. Delores, they are all stunning. How do you choose? Can't wait to see your new home all complete. How fun to pick out lights! Can't wait to see what you chose. I don't know what happened there....... sorry, didn't mean to triple comment! Hm....sent this a awhile ago, but since I don't see it, here goes. 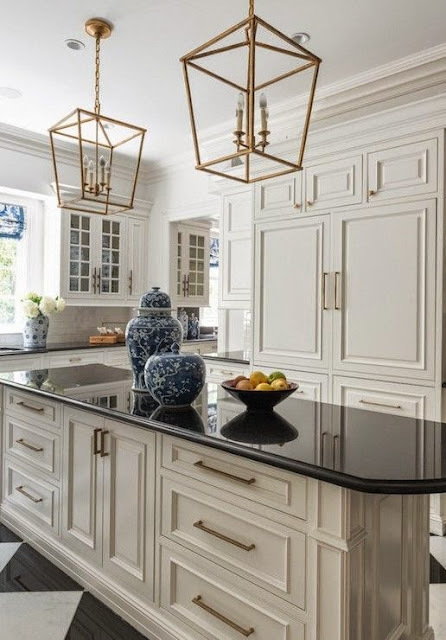 Quick question: I'm remodeling too and love lanterns, but they will be over an island with the range top and I'm concerned about having to constantly clean them. Grease, steam etc. It's a working kitchen and wondering if you have an opinion. As for your dilemma, I'm caught. 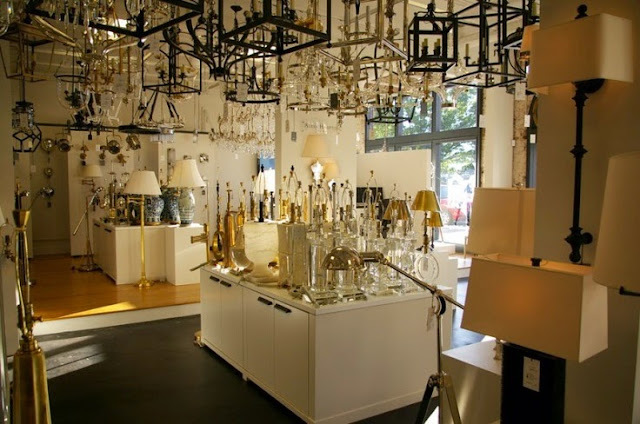 The practical side of me says use your chandy from your other home. But I adore the satin/burnished/aged brass. Whatever you choose sure will help me and my decisions. I see why you are obsessing. I say this is a new house so a perfect time to go down a new road. I have been in the Circa store in Atlanta, it is not that big, BUT omgoodness the lighting is beyond gorgeous. I can tell you have three directions. The organic look, the bit rustic look or a bit more refined look with the brass and glass chandelier. All three beautiful, that is why it is so hard to decide. Good luck!! Love that brass! I'm finding that living in the city (as opposed to the beach), I'm going a little more dressy but comfortable. I love Circa too. Isn't is funny how you think that you always know exactly what you would choose for a space until you really have to choose it?? Suddenly we start to question ourselves and get ourselves firmly embedded in the state of analysis paralysis. That has happened to me more times than I can count. Maybe if yo stopped thinking so much about it and occasionally test your gut to see what comes forward the most often. I watch with interest, knowing you're struggling because you've got such good taste but its still hard nailing down what will be beautiful. No matter the combo. 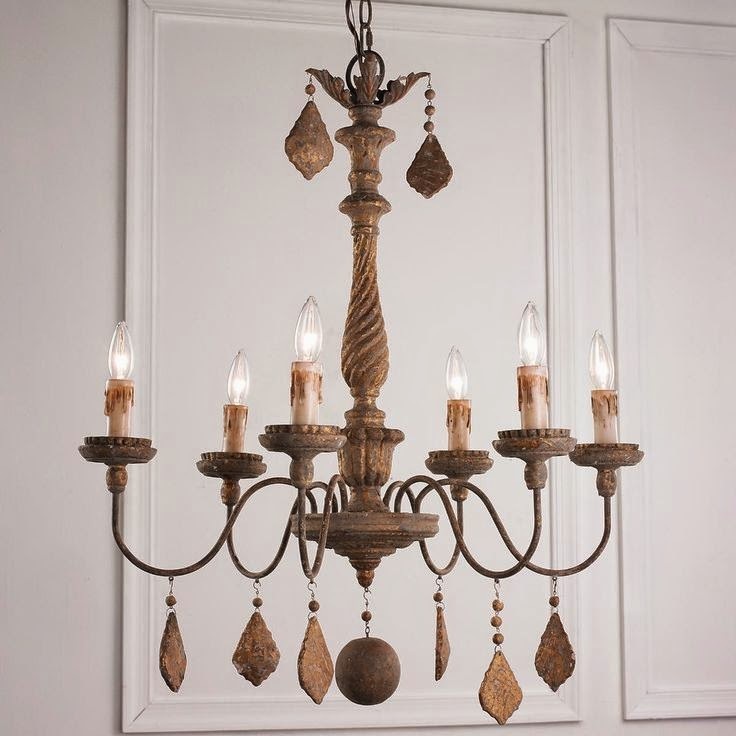 Your chandy is beautiful...I think the style could fit in with the rest, but if the size is wrong you may have your answer. Classy Organic could be a new trend. Thanks for sharing.